Hey cookie lovers, this is Holly from Revamperate again! If your favorite ice cream flavor is cookies and cream (and even if it isn’t), I guarantee you’re going to like this recipe. I still haven’t met anyone who dislikes Oreos. After all, how could you?! If you’re a true Oreo lover, you’ll also love my recipe for these marshmallow creme covered Oreo overload brownies. 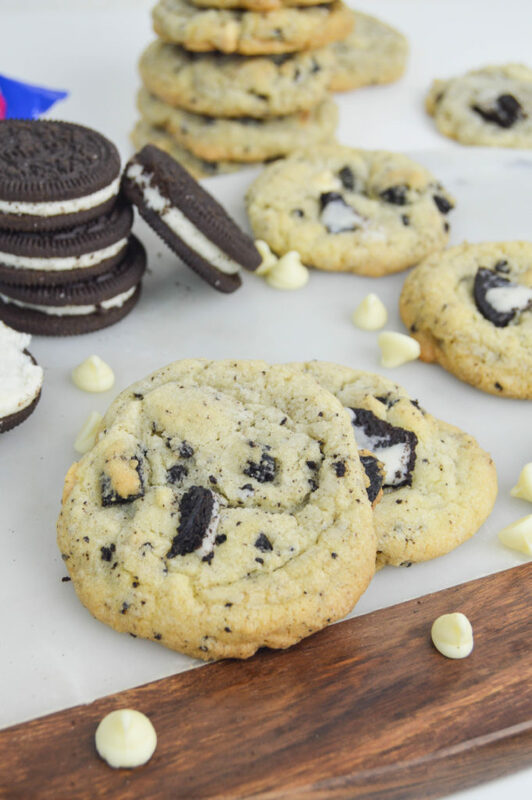 Oreos make a great ingredient in most recipes, and these cookies and cream cookies are no different. With chunks of cookie and white chocolate chips, they’re the perfect flavor combination and will be amazing alongside a glass of milk! As my friend described them – cookieception! Preheat the oven to 350 degrees and line multiple baking sheets with parchment paper or silicone mats. In the bowl of your mixer fitted with a paddle attachment, cream the butter and sugar together. Mix in the egg and vanilla. Then mix in the flour, cornstarch and baking soda until barely combined. 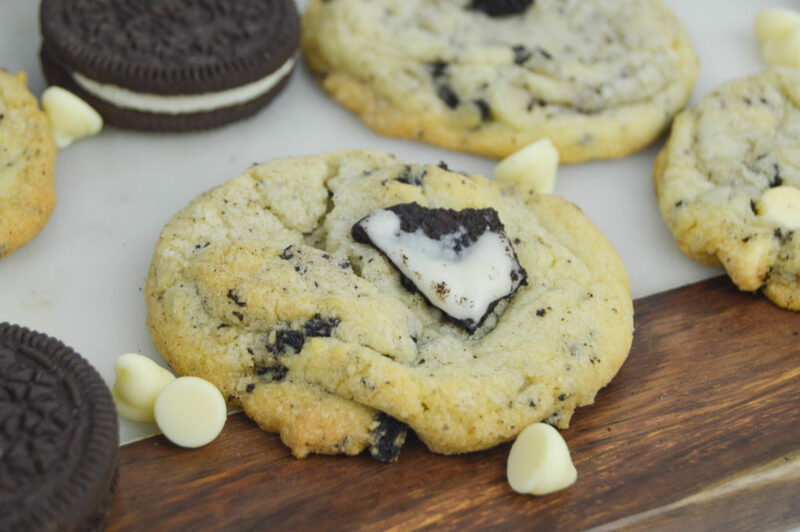 Stir in the chopped Oreo cookies white chocolate chips by hand. Use a spoon or cookie scoop to place balls of dough on the lined sheets. Bake for 8-10 minutes until the edges barely begin to brown. Let cool for 5 minutes and move to a wire rack to cool completely. They should stay thick and soft once cooled, but if you just can’t wait, the warm cookies straight from the oven are probably the best ones!